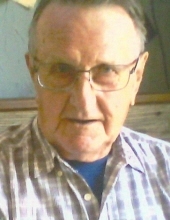 Loren Lee Jackson 86, of Decatur, IL passed away at 10:18 p.m., Saturday, April 6, 2019, in Decatur Memorial Hospital, Decatur, IL. The family will honor Loren’s life with a visitation beginning at 5:00 p.m. until 7:00 p.m., Thursday, April 11, 2019, at Dawson & Wikoff Funeral Home, Mt. Zion. A memorial service will follow at 7:00 p.m. at the funeral home. Memorials may be made to the Wounded Warriors Project. Messages of condolence may be sent to the family at www.dawson-wikoff.com. Mr. Jackson was born August 28, 1932, in Bement, IL the son of Gerald and Norma (Kelly) Jackson. He served in the US Army as was a Korean War veteran. Loren was retired from Caterpillar Tractor Company having worked as a Transporter. He married Faye McHaney on May 28, 1955. Loren enjoyed trapshooting and was a member of the Warrensburg Sportsman’s Club. He was a former member of the Decatur Gun Club, a lifetime member of the NRA and a member of the American Trapshooting Association. Surviving are his wife: Faye of Decatur, son: Tony Jackson (Tawnya) of Decatur; grandsons: Drake Jackson of Champaign and Logan Jackson of Bement; brother: Galen Tully (LeAnne) of Arthur, IL. Loren was preceded in death by his parents, son: Timothy, sister: Jackie and his brother: Darrell. "Email Address" would like to share the life celebration of Loren Lee Jackson. Click on the "link" to go to share a favorite memory or leave a condolence message for the family.